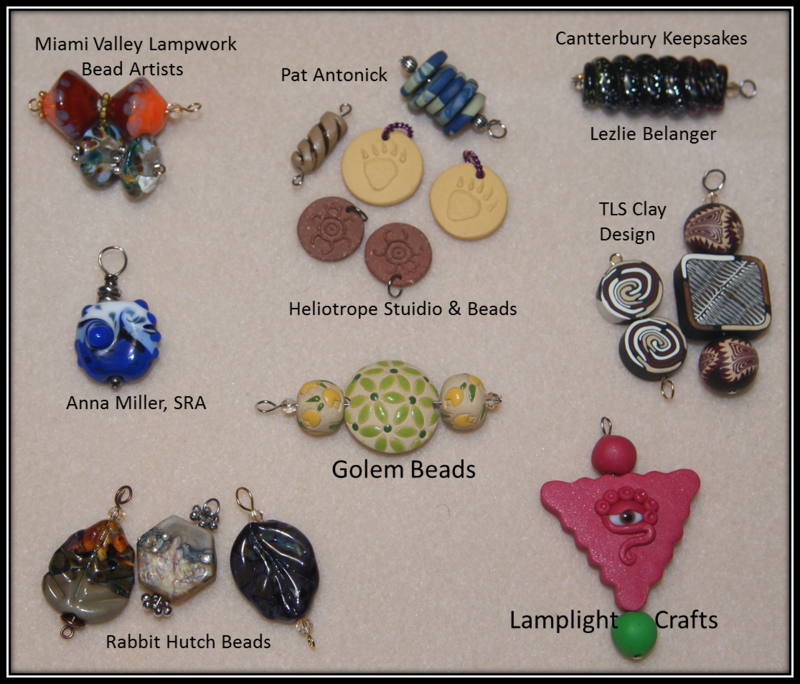 LamplightCrafts: Art Bead Love Chain Giveaway! Art Bead Love Chain Giveaway! 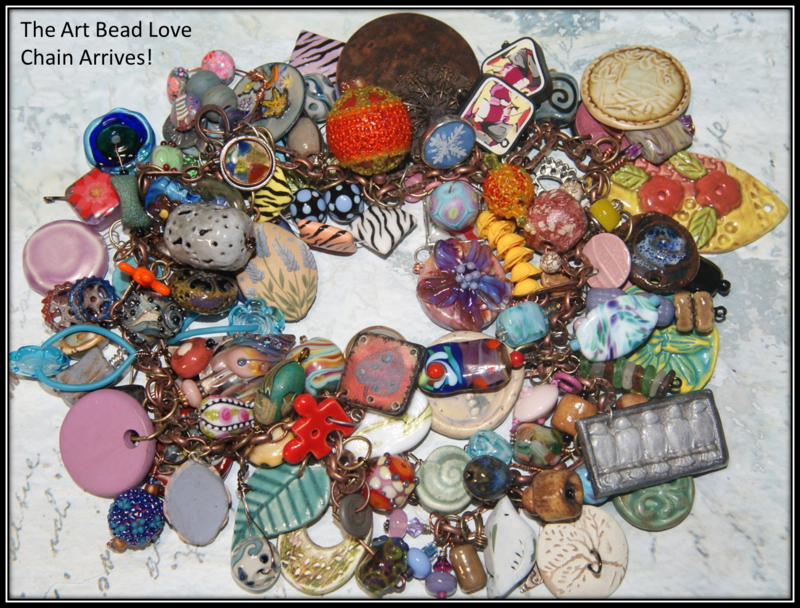 Here's the Scoop: The Art Bead Love Tour is an ongoing project to spread the love of handmade to new and exciting places. It's a way to reach people who may have never stumbled upon your blog on their own, and give them a chance to share the love of handmade. A chain was chosen to link beads as a symbol of how this project links us all together ~ in our unity to stand behind handmade. The winner of the chain will be allowed to take up to 30 beads from this chain. They will then replace each bead they took with another handmade bead, charm or pendant of equal quality. It is so important that the quality of the beads be maintained, so we can keep the Art Bead Love Tour alive. We want to share consistent quality with the next winner. If you make your own handmade beads or components, it's a great way to get your beads into the world for people to try them out, or, if you hoard collect art beads it's a great way to share your collection and get some new additions as well. I may put a few more on the chain before it goes to the next winner! Art Beads should be handmade by an artist, and not mass produced, such as Hill Tribe Silver beads or others like them. Remember, the focus is on replacing handmade with handmade, and beads/components taken should be replaced with beads/components that are made by an individual artist - not an organization. 1. The winner of the chain will be allowed to take up to 30 beads from this chain. They will then replace each bead they took with another handmade bead, charm, or pendant of equal quality. 2. The winner will post pictures of what was taken and what was added, in order to keep an account of the chain's progress and to keep our followers drooling. Please be sure to give credit to the bead artists as well (if you know them). 3. The winner will then have a giveaway, just like this one, to keep passing the chain on and on. Rules can be copied and pasted from here. 4. When you repost your giveaway (remember you can copy and paste from here) - a list should be added to show where the chain has gone, with links to each previous blog. Ultimately, this will end up a very long list! 5. Chain must be shipped to its new home via Priority Small Flat Rate box with delivery confirmation. Please package it carefully. 6. 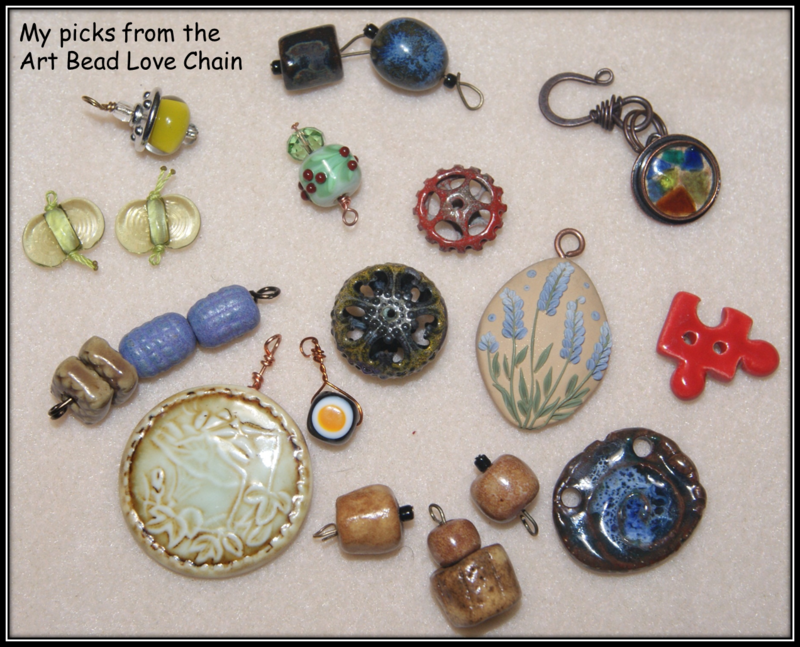 There will be a button on the Love My Art Jewelry website that links to the current blog and giveaway, so if you have the chain it will link to your blog. That way our followers can have another chance to win it! 7. You MUST exchange your beads and have your giveaway completed within two weeks of receiving the chain. Please, please, please, if you cannot adhere to the above rules, do not enter the giveaway at this time. It will go on and on and you can always enter at a later date. There will be a button on the side bar of our blog so that you can track where the chain currently is. 1. You must have an active blog to enter. 2. Leave a comment below. Make sure your email is linked to your blog or leave it in the comment. Entries without emails will not qualify. 3. Share on Facebook, Twitter or your blog for extra chances to win. Leave a comment for each way you share, with a link if possible. 4. Winner will pay shipping and will be billed through PayPal. Package to be shipped via small priority flat rate box with delivery confirmation, $6.00. 5. Open only to our readers in the United States due to problems with tracking and shipping overseas (sorry). I would love the chance to play! I would love a chance to participate! Art Jewelry Elements Earring Challenge 2013! Art Bead Love Chain--Coming My Way! Almost Done with the Handmade Gift Exchange!